LumaFix is a tiny add on that goes into your C64. Your (hopefully socketed) VIC-II-Chip needs to be removed and placed back inside together with the LumaFix. 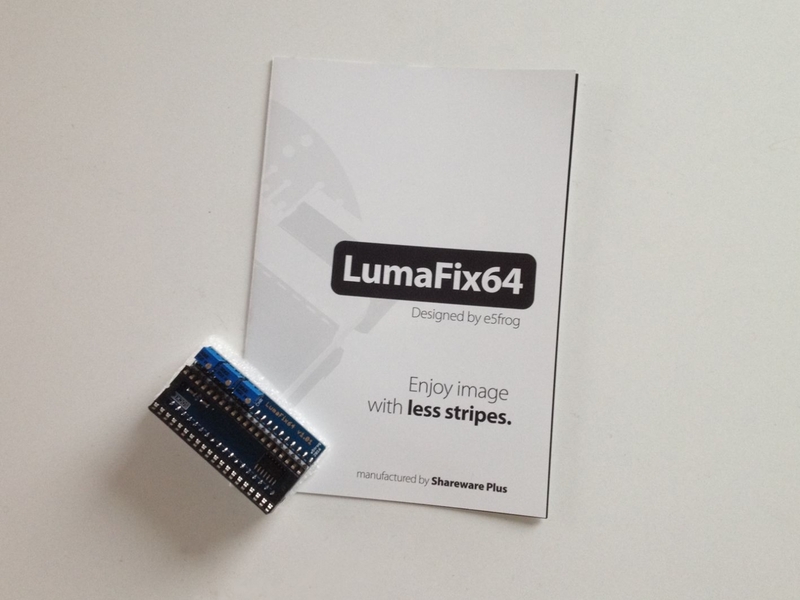 LumaFix helps to remove stripes, green/red lines or a checkered pattern that mostly appears on modern output devices via s-video. It has three toggles to adjust the video signal (and shield it from other signals that are also present in the VIC-II), thereby improving the picture quality. This Product was added to our catalogue on 01/09/2017.